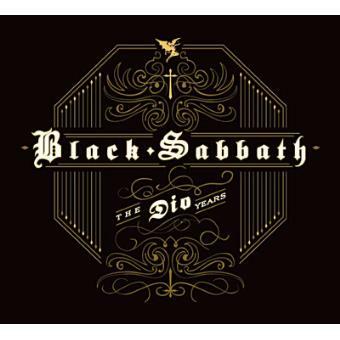 BLACK SABBATH - "The Dio Years". Foi Ronnie James Dio quem celebrizou a saudação metálica "Horns Up"! Nos Black Sabbath vocalizou os álbuns "Heaven and Hell" (1980), "Mob Rules" (1981), "Dehumanizer" (1992) e o disco ao vivo "Live Evil" (1982). "The Dio Years" inclui ainda os temas inéditos "The Devil Creed","Shadow of the Wind" e "Ear in the Wall".